This theme name is Black Neon Cat Theme itz For Vivo which owned by someone. This theme is not mine, I just want to share only this to our Co-VIVO user who really loves themes. Please give credit to the real owner of this themes. 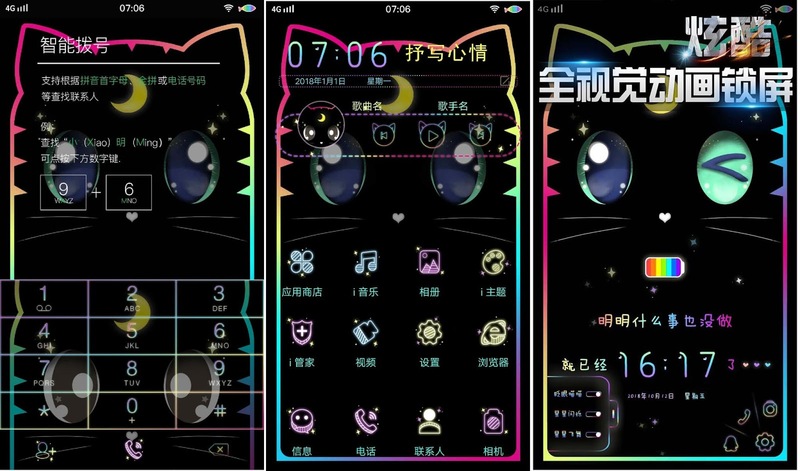 And this theme support in my Vivo (Y83 and Y81), if not working on your smartphone, let me know please. I'll repair that issue.